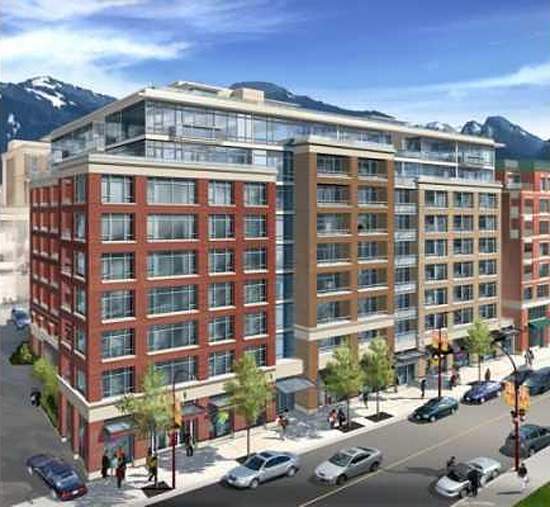 V6A is a new Downtown Vancouver real estate development by Onni Builders and is only a short walk, drive or bike ride away from the downtown core, Yaletown, South East False Creek, Gastown and Commercial Drive. V6A presents 128 units, sensitively designed by renowned Vancouver architect Lawrence Doyle and delivered by the award-winning Onni Group. These masters of the built environment may have created a masterpiece in urban living with V6A, named after the postal code of the historic and vibrant Strathcona community. With high-quality integrated European stainless steel appliances, environmentally astute Corian countertops, laminate hardwood floors with the option of engineered hardwood, and the flexibility of frosted glass, moveable walls, V6A reflects the best of the downtown towers, but without the high prices or the monochrome design. As befits this community on the cusp of Chinatown, V6A reflects contemporary design blended with architecture that compliments its heritage neighbours at Union Street and Gore Avenue. V6A has secure and ample underground parking, and the entire building is designed to the latest in Crime Prevention Through Environmental Design (CPTED) standards, a sophisticated approach that ensures the security of residents and property. Excellent lighting, special landscaping and advanced perimeter security systems are all part of this package.